Minneapolis, May 18, 2011 – Polaris RANGER RZRs took another first and second, at Best in the Desert’s Blue Water Gran Prix this past weekend, in Parker, Arizona. Racers were met with very warm conditions and with only a two-week turnaround between races, were challenged with a very tight, rough and technical course. In the end, Polaris Regional Sales Manager Matt Parks and co-driver Jason Spiess in Parks Racing RANGER RZR 4 800 took the checkered flag in two hours and six minutes. The new No. 1919 RANGER RZR XP 900 of Jagged X left the starting line a little behind what they had hoped coming into the first narrow hairpin, in the fifth position. Before Brandon Schueler made one complete 11 mile lap, he found his way into the clean air up front and by Lap Three, had developed a lead. In the middle of Lap 4, the car lost a swaybar link which caused some collateral damage and caused the car to quit running. Schueler and co-driver Landon Kubrick with some quick diagnostics had the No. 1919 back up and running in just a few minutes but not before the other front runners were able to get past. With just over two laps to go the team was able to make up enough ground to get past all except the No. 1932 Polaris RANGER RZR 4 of Matt Parks for a second place finish in the Pro UTV class. “This is shaping up to be a super tight race for points this year with both Polaris cars on the podium at every race so far,” said Bill Schueler of Jagged X. 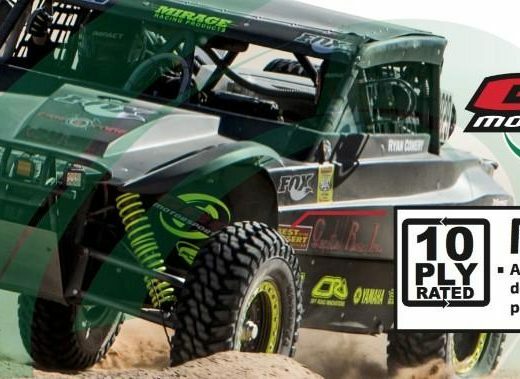 The next Best in the Desert race is the longest off-road race in the U.S. in TSCO Vegas to Reno, August 18-20. 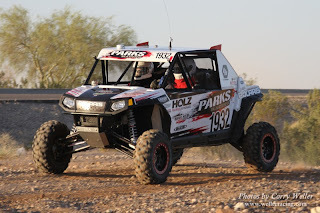 Parks is sponsored by Holz Racing Products, Walker Evans wheels and shocks, Maxxis Tires, Tire Balls, Kroyer racing engines, Muzzy, Pure Polaris Lubricants, Utendorfer graphics, D.W.O. race prep, UTV Underground and Valley Cycle in Bakersfield, Calif.